New York authorities said that four alleged leaders of the extremist Jewish sect Lev Tahore have been arrested on charges of kidnapping two children and taking them out of the country. Three of the accused kidnappers—Nachman Helbrans, Mayer Rosner, and Jacob Rosner—were arrested on Thursday following their deportation from Mexico to New York, said the U.S. Attorney’s Office. The fourth suspect—Aron Rosner—was taken into custody on Dec. 23. “Thankfully, the kidnappers were no match for the perseverance of the FBI, the New York State Police, and Mexican authorities, and the children were recovered this morning after a nearly three-week search,” said Berman. All four stand accused of abducting 14-year-old Yante Teller and her 12-year-old brother Chaim Teller, of Woodridge, New York, earlier this month and transporting the children out of the United States. Authorities said the men are leaders of Lev Tahor, an extremist Jewish sect based in Guatemala. 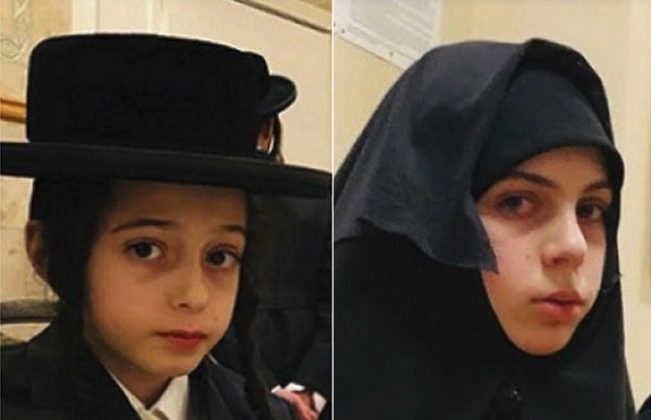 Federal investigators said in the court filings that the children’s mother had been a “voluntary member” of Lev Tahor but escaped from the group after its leadership became increasingly extreme. Denis Baraby, the former director of Laurentides’ Youth Protection Services, which has investigated Lev Tahor, told The New York Post of witnessing disturbing conditions during visits to Lev Tahor homes, including urine-soaked mattresses and insects. The mother was granted custody of the children after entering the United States. “I am very worried, afraid, and concerned that the father and his fellow members of the cult will try to kidnap the children and compel the children to return to the cult, where they are in danger of malnourishment, corporal punishment, and forced to marry persons much older than them,” she wrote in a Nov. 14 custody filing in Brooklyn Family Court, according to The Post. She sought custody of her children and an order of protection against her husband. Before being reported missing, Yante and Chaim were last spotted at about 3:30 a.m. on Saturday, Dec. 8, getting into a car outside a friends’ home where they were staying. Seven members of an ultra-orthodox Jewish sect were arrested Wednesday by the Canada Border Services Agency over suspected immigration issues, the local children's aid society said.